Taking a photo is so simple these days. All you need is a smartphone, a subject, and the ability to point and shoot. But it wasn’t always as easy. In fact, it is now so simple that we tend to forget exactly what is going on when a photograph is taken. The science – the idea of light being captured on film or photographic paper through a lens with a very tiny hole (the aperture) – is lost on the point and click, selfie-stick I Acted Like A Prick With a Selfie Stick, Here's How People Reacted I Acted Like A Prick With a Selfie Stick, Here's How People Reacted Basically, no one reacted. No glares, shouted warnings, or lobbed projectiles. People just weren't that fussed. Read More wielding masses. Fortunately, plenty of DIY kits exist; component collections, complete with instructions, that explain how to construct a camera. To get a better understanding of any process, it is worth spending some time getting to grips with just how it works, to come to terms with the principles. Doing so with cameras will almost certainly improve how you take a photograph. We’ve found five different ways that you can build a camera, from pinholes to DIY kits compatible with 35 mm film, all the way up to digital cameras. Who would have thought that sticking a hole in a darkened box would create a camera? But that is exactly the origins of modern photography, thanks to the physics that allowed, first, the camera obscura (which uses a room rather than a box) and later, the pinhole camera. To create your own pinhole camera, all you need is a sealed, light-free box, typically painted black on the inside, with space for a piece of photographic paper (or 35mm film, if a winder mechanism is available), and a small hole, probably produced using a pin or other narrow metal spike. You should also have something available to cover the aperture once the photo is taken. Using a pinhole camera for photos is a very different proposition to snapping with a smartphone or DSLR, but as with these devices, some consideration has to be made for exposure. In the case of a pinhole camera, it is useful to have a reference as different weather and locations require differing degrees of exposure. 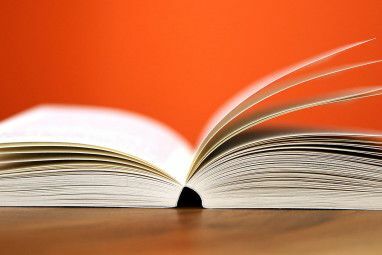 This guide from lilblueboo.com provides a good outline, but you’ll need to adjust things based on your own environment. We’ve previously explained how to build a smartphone projector using the principles of a pinhole camera Build a Smartphone Projector From An Old Shoebox Build a Smartphone Projector From An Old Shoebox Read More , so it’s worth taking a look at that tutorial for more information. If you have the time, this Fotodiox DIY lomo camera will take you between and 1 and 3 hours to complete, and comprises 68 pieces. As with all DIY kits listed here, you’ll need to make sure you have some 35mm film already purchased, along with a small Philips screwdriver. This is a TLR camera — twin lens — which means that there are two lenses in the finished build, one for the viewfinder, another for the actual photography. To keep costs down, lenses are plastic, but the camera is tripod-compatible and has adjustable focus. 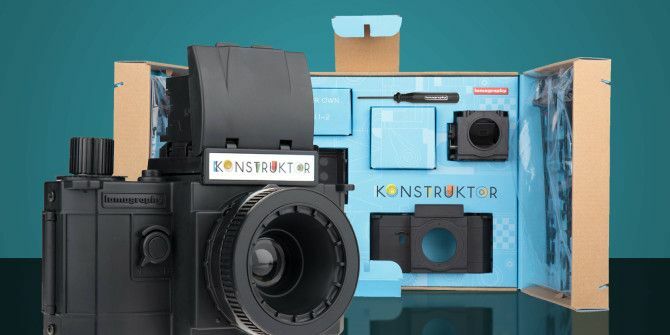 Perhaps the most impressive DIY camera kit in this list, the Lomography Konstructor comes in an Airfix-style press out frame, which means that each component must first be carefully sanded before construction. Failure to sand down the small chunks of plastic where the component sat before gluing will probably result in a DIY camera that leaks light — which is very bad for your 35mm film, as well as your plans to take photos! Once built, the camera has manually adjustable focus and exposure, and could potentially produce the best results of all the DIY camera kits currently available. Some examples can be found on Chris Etzel’s Flickr page. Building a camera isn’t just about shutter speeds, 35mm film and exposure times; it’s just as important to understand how a digital camera works. So, why not try the Kimera Shot, a 3D digital camera that you construct from components such as a hand crank and gearbox, rechargeable battery, viewfinder, circuit board, sensor and other hardware that can be found in the box. Resulting photos are presented in optional 3D thanks to a stereoscopic, dual lens effect, and the device also features a USB connector for data transfer to Windows and Mac OS X computers. On a similar note, you can also create a camera using the Raspberry Pi computer (all models except the Pi Zero). All you need is a suitable case (some are designed to accommodate the camera) and the 5MP camera module, along with the usual operating system How to Install an Operating System on a Raspberry Pi How to Install an Operating System on a Raspberry Pi Here's how to install an OS on your Raspberry Pi and how to clone your perfect setup for quick disaster recovery. Read More and power supply (a battery pack is a good option 3 Raspberry Pi Battery Packs for Portable Projects 3 Raspberry Pi Battery Packs for Portable Projects A Raspberry Pi battery can make a regular Pi into a portable computer. You'll need one of these battery solutions to get started. Read More ). It’s possible to rig a button on your Raspberry Pi Make a Stop Motion Video Rig with a Raspberry Pi Make a Stop Motion Video Rig with a Raspberry Pi You don't need high end equipment to make your own movie: in this age of high resolution digital cameras or smartphones, anyone can have a go. Read More to capture photos. If you’re in the UK, there is an option available to you that readers in the USA won’t be able to get hold of easily. Remember the Haynes car repair manuals? Well, this is a classic camera kit produced under licence from the same publisher, packaged much like a car repair manual, but with the kit components and instructions within. The finished camera is a twin lens design, has 50cm to infinity focus range, 1/125 shutter, f/11 aperture, and uses 35mm ISO 200 or 400 film (24 exposures), but this is not included. Anyone in the UK looking for a fun, affordable DIY camera kit should look no further than this. US readers may be able to find the kit on eBay. Several of these DIY camera kits require 35mm film. But where can you get it these days? Well, exactly the same place as you can buy the cameras — on Amazon! 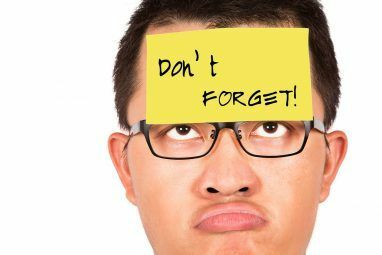 Several types are available, in color and black and white, from manufacturers such as Fuji, Ilford, Kodak and many more. In addition, various photographic paper types are available, either for use developing your own photos, or with a pinhole camera. If you can’t develop (you may not have a dark room!) then it is possible to scan a photographic negative and invert the colors using an art package such as Photoshop 5 Free Alternatives to Photoshop You Should Try 5 Free Alternatives to Photoshop You Should Try Read More . Have you built a DIY camera? How did the photos turn out? Would you swap a homemade camera for your digital even your DSLR, or is it just another way to grab stunning results? Let us know in the comments! Explore more about: Digital Camera, Education Technology.